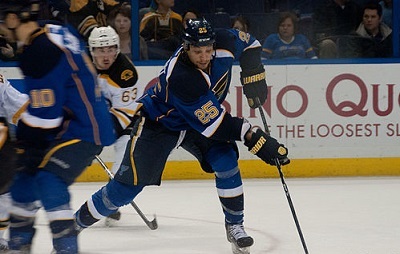 Get notified when St. Louis Blues tickets are available! Founded in 1967, the St. Louis Blues are an NHL professional hockey team in the Central Division of the Western Conference. The St. Louis Blues’ home ice is located at Scottrade Center, an arena situated in downtown St. Louis. The arena opened its doors in 1994 and was previously known as the Kiel Center, followed by the Savvis Center before adopting its current name in 2006. For ice hockey games, the arena seats more than 19,000 fans. You can purchase St. Louis Blues tickets by checking the schedule of upcoming home games above and then clicking the links to make your purchase online.